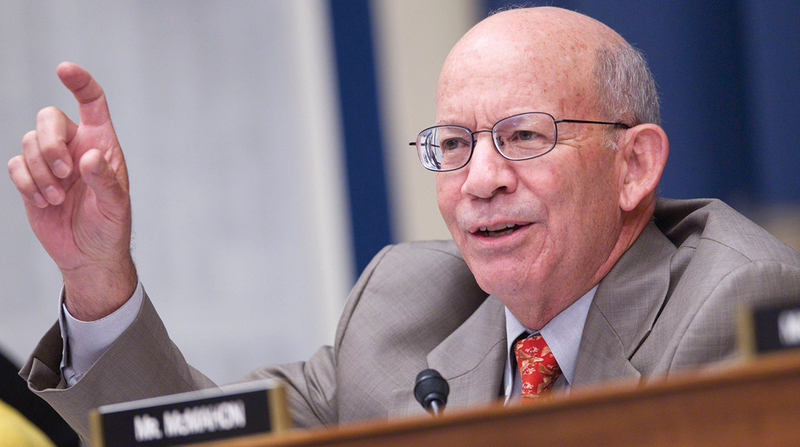 As Congress seeks to improve safety on rural highways and urban landscapes, education and enforcement programs will merit the attention of policymakers, Transportation and Infrastructure Committee Chairman Peter DeFazio (D-Ore.) explained. An estimated 27,100 motor vehicle fatalities resulting from traffic crashes occurred during the first nine months of last year, the National Highway Traffic Safety Administration indicated in a statistical projection published this month. A “complete streets” concept that is federally funded would promote safety, DeFazio added. “Complete streets” aims to guarantee that roadways and corridors offer safe access for every user — pedestrians, cyclists, motorists, commercial vehicles and public transportation commuters. “Addressing the unique elements of each community, such as pedestrian accessibility, street crossings, and bus and bike lanes, rather than a cookie-cutter approach, can have a profound impact on reducing traffic accidents and fatalities,” the chairman said. The subpanel’s leader, Del. Eleanor Holmes Norton (D-D.C.), echoed DeFazio’s sentiment, noting a transformation of the transportation landscape should be a goal for the reauthorization of the current highway policy law, the FAST Act. House Democratic leaders have yet to unveil a highway reauthorization measure that would update the five-year highway law, which expires in the fall of 2020. “To get anywhere close to zero deaths — that’s an admirable goal; it’s the goal we ought to set. We need to improve how we design our transportation networks. We need to improve how we educate the users of those networks,” Holmes Norton explained. Jennifer Homendy of the National Transportation Safety Board reminded lawmakers that the independent agency has recommended regulatory action on a series of policies aimed at boosting safety. NTSB has recommended implementing collision avoidance systems in new highway vehicles, reducing fatigue-related accidents and strengthening protections for vehicle occupants. “Our goal is zero deaths and injuries on our nation’s roadways,” Homendy said. The National Safety Council’s interim president, Nicholas Smith, also informed DeFazio and his colleagues about the “Road to Zero Coalition,” which aims to dramatically reduce the number of traffic deaths on the country’s roadways by 2050. The campaign has recommended evidence-based strategies, accelerating advanced lifesaving technology in infrastructure and vehicles, and establishing a culture of safety.